WHILE local authorities, businesses and other stakeholders are looking forward to seeing the project take off as Larnaca will benefit significantly from the €400 million development, fears are expressed that the project might go south along with other privatization projects planned. The strategic investor, an Israeli consortium composed of Ampa Ltd and Israel Shipyards Ltd has asked for a third extension for submitting its financial proposal to the government. This time to finalise some outstanding details regarding bank guarantees. The consortium was to deliver their proposal, initially on 21 September it was then deferred to 5 October before asking for a three-week extension. The extension given to the investors in September followed a delay from the government’s side to submit the final tender documents. Meanwhile, concerns over the new extension have raised the alarm among stakeholders as the Israeli consortium’s proposal is the only one still on the table. Four out of the five companies that had initially shown interest withdrew from the process leaving the Israelis as the only interested party and the state’s sole interlocutor for the project. Larnaca Mayor Andreas Vyras talking to the Financial Mirror expressed his disappointment over the new delay, hoping it will be the last chapter of the long road leading to the launch of the project. However, Vyras stressed that he is not troubled over the new extension given to the consortium as he finds that the reason behind the delay is valid and a common issue faced in such dealings. He said that he sees no reason why the deal should fall through, especially after the government had withdrawn a contentious clause from the tender which foresaw that the project promoter had to compensate Limassol port for any loss of traffic it may suffer due to the Larnaca port upgrade. Specifically, a ceiling of 900 tonnes of cargo for the Larnaca port was included in the initial tender document, which if exceeded the company managing the port would have to pay a penalty to Limassol. The Israelis had vigorously protested the clause which endangered the whole deal. Vyras confirmed the clause was removed and in what is understood to be a compromise, the yearly rent of the land has risen from EUR 400,000 to EUR 700,000. “The consortium has not given any indication that they object to a rise of the rent, so I see no obstacle for the deal to go ahead,” he said. The consortium will develop the port and the marina and operate them on a long-term lease — similar to the Larnaca airport deal which is essentially a build-operate-transfer (BOT) agreement. The project concerns the licensing through a Concession Agreement of the Port and Marina of Larnaca for 40 years and the lease of the land for the development of real estate for a period of 125 years. The venture is expected to upgrade Larnaca to the standard other towns have reached over recent years. Plans also foresee the construction of luxury homes along the Larnaca marina which will more than double in size. 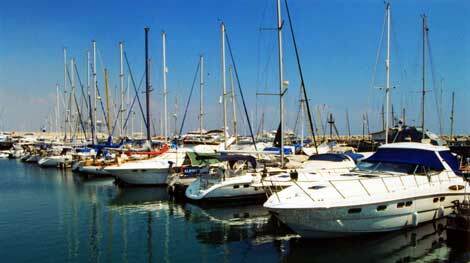 The upgrade of the Larnaca Port and Marina is part of the government’s privatization plans. According to the draft budgetary plan for 2019, as submitted to the European Commission, the government plans to go ahead with privatising five state institutions and assets. The first item on the list is the Larnaca Marina and Port, the second largest on the island, which according to the draft is expected to be signed within the current year. The latest developments, however, have raised a question mark on whether the privatisation process will indeed be completed by the end of 2018. Market analysts fear that the Larnaca Port and Marina project may have already fallen victim to what they see as “a lack of political strategy regarding privatisations on behalf of the state and the political leadership in general”. Analysts claim that, although on paper the government is adamant about going ahead with its privatisation plans, its actions show otherwise. “Privatisations are going ahead at a snail’s pace. It is indicative that the stock exchange does not appear on the list in the draft budgetary plan,” one analyst. Analysts believe that the reason behind this, is quite simply that there will be no interest from investors as “the Cyprus Stock Exchange is not worth much at the moment. It will only draw investors’ attention if it is made attractive with the participation of public companies which will have either undergone or will be undergoing a privatisation process”. They said that as things stand today, CyTA telecoms and the electricity authority (EAC) are not to be privatised any time soon. “We do not see that the government has the will to confront the parliament on the issue of CyTA’s privatisation. Instead, it will go ahead with creating the conditions for the attraction of a strategic investor through equity participation,” an expert said. Regarding the privatisation process of the EAC, analysts said that the state is to suffice itself with the Functional Unbundling of the authority as was endorsed in 2016. The final review of the EAC Functional Unbundling is expected to take place at the end of December 2018. The Cabinet decided on 7 December 2017 to proceed with the full independence of the Cyprus Transmission System Operator (TSOC) from the EAC. The TSOC will be responsible for the system operation and the electricity market operation. The independence of the TSOC from the EAC is expected to be completed by 1 July 2019. Meanwhile, a Ministry of Finance senior official confirmed to the Financial Mirror that priority will be given to privatising the state lottery and some state assets in the Troodos Mountains. He said that upon the relevant recommendations of the appointed advisors, Cabinet decided the licensing of the activities of the National Lottery for a period of 15 years, to include the current lottery products and the addition of e-instants. “A revised bill has been submitted for approval to the House and will then be filed with the European Commission to be assessed whether it is compatible with the EU acquis,” the official said. He said the state owns nearly 200 assets in Troodos which have been declared as assets subject to privatisation, noting that the extent and structure have yet to be determined. The privatisation list also includes the development of the Ayia Napa and Paphos Marinas. A design-build-operate-transfer agreement for the Ayia Napa Resort Marina was signed in 2016, with construction expected to be completed next year. A similar agreement for the Paphos Resort Marina is expected to be signed within 2019.